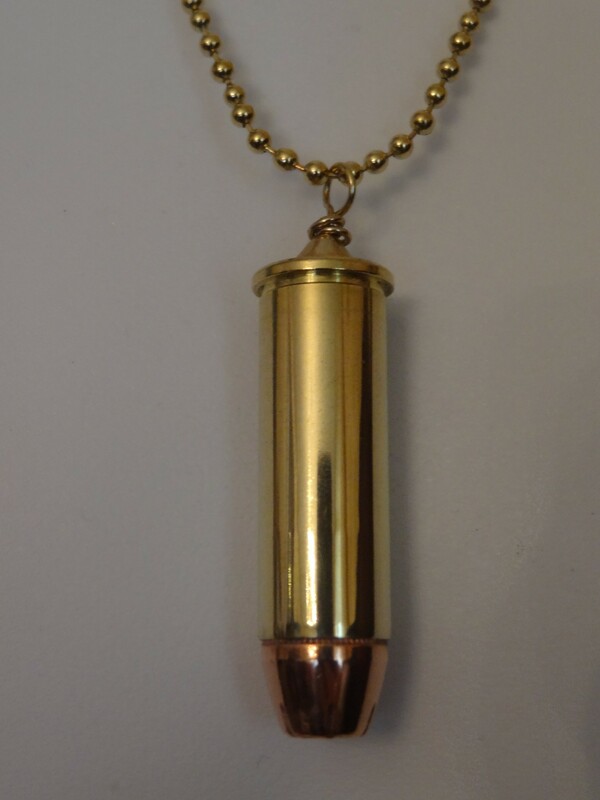 “Dirty Harry” .44 Magnum….DO YOU FEEL LUCKY? 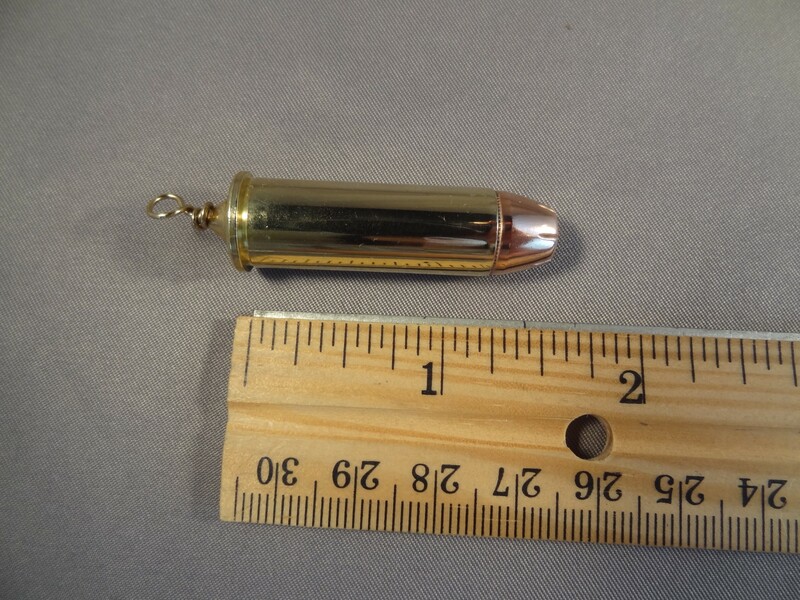 This is the round Dirty Harry (Clint Eastwood) had chambered in his Smith & Wesson Type 29 Revolver. 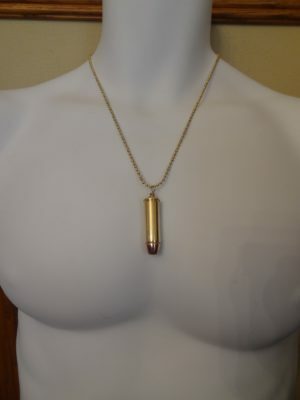 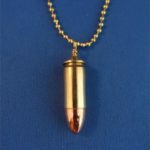 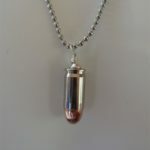 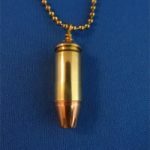 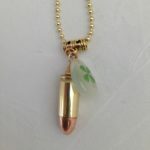 It is a .44 Magnum with a brass case and is the perfect size for a necklace. 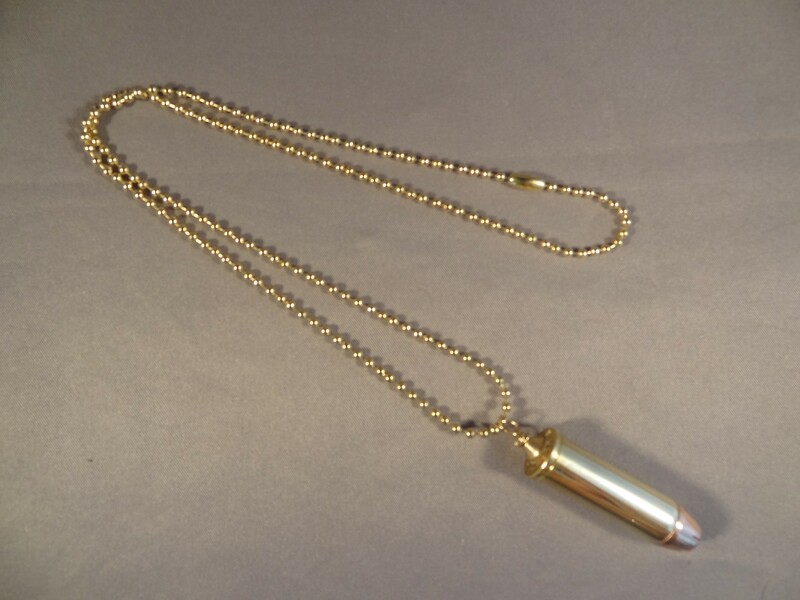 If purchased as a necklace, it comes on a 20″ brass ball chain. Also available as a key chain or the cartridge alone. 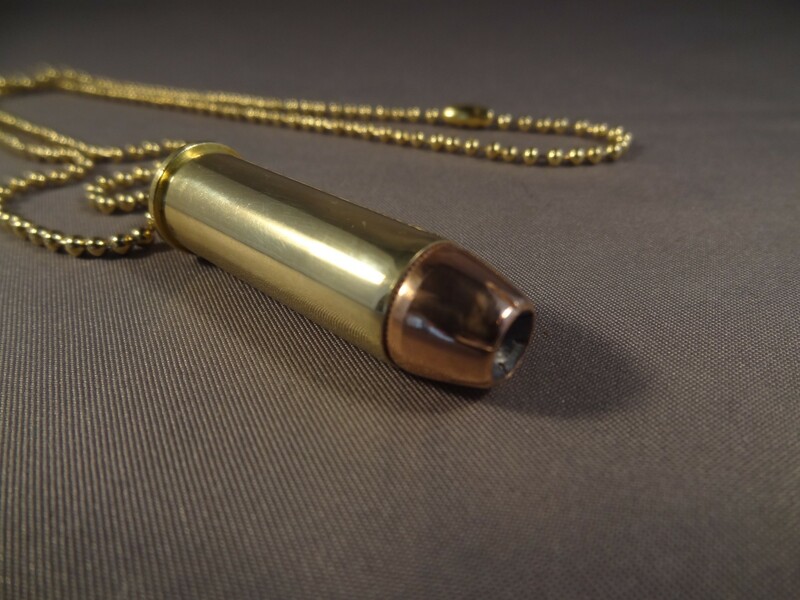 Engraving is optional for an additional fee.